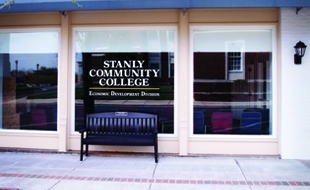 How do I find out more about the Health Sciences programs offered at Stanly Community College? Frequently Asked Questions and Admissions Checklists can be located in the table below. You may also visit each program page. Open House Sessions and Information Sessions are held throughout the year at Crutchfield Education Center. These sessions are designed specifically for individuals interested in our Health Sciences programs. Can I start a Health Sciences program at any time? All Health Sciences programs, except Pharmacy Technology and Returning LPN, begin in the fall of each year. Pharmacy Technology and Returning LPN begin in the spring semester of each year. Please review the application deadlines listed below to plan for your specific program. If I apply for a program in the fall, but I want to take classes in the spring or summer, what do I do? You will need to complete an application or change of curriculum form to add the Associate of General Education program specific to your program of study. 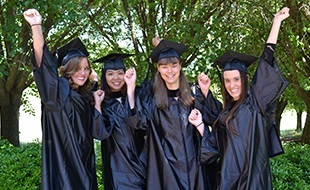 This will allow you to complete general course requirements for the Health Sciences program. General education classes are courses in English, Math, Psychology, Computers, Biology, Chemistry (only if required by your program) and Humanities. Must I complete all the general education courses before I can start a program? No. Applicants are not required to complete general education courses prior to enrolling in a program; however, it is encouraged while you are waiting to start your program. Many students benefit from completing these courses prior to acceptance. I tested into Developmental classes, how will this affect my acceptance into an Allied Health program? All developmental classes must be completed before you can be considered eligible for a Health Sciences program. This means you will not be placed on the consideration list until you have either tested out of or taken all development courses required. Minimum scores on the placement test are required in for Nursing and Radiography; course credit will not substitute. If I did not complete Algebra, Biology, & Chemistry in high school with a “C” or better, what do I do? These courses can be taken at the curriculum level as college courses or through our Adult High School program. College credit for these courses will be accepted in lieu of high school credit. 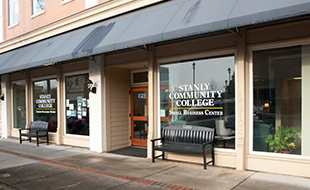 Speak with an admissions representative to determine how your courses will transfer. Can I apply to more than one Health Sciences program at a time? No, only one active application at a time can be considered. If I am on an alternate list, do I need to reapply the next year? Yes, a new application is required for each application period. You may not need to resubmit transcripts and test scores (if less than 5 years) with your application. I noticed in my WebAdvisor account that my application status changed to “pre-alternate”. What does this mean? This means that your file has been reviewed, and any outstanding admission requirements can now be viewed in your WebAdvisor account under the “My Documents” link. These requirements must be met prior to conditional acceptance or placement on the alternate list. Will I have to complete a drug test after being accepted into one of the Health Sciences programs? Yes. As a requirement of the clinical facilities, a drug screening must be completed. The college will schedule a time for students to complete the drug screening at Crutchfield Education Center. The college does not see the drug test results nor give advice related to the results. Being accepted to the program does not mean that you are automatically cleared to attend the clinical sites. If the clinical site denies a student clinical privileges, that student is withdrawn from the program. Will I have to complete a criminal background check after being accepted into one of the Health Sciences programs? Yes. As a requirement of the clinical facilities, a criminal background check must be completed. The college does not see the criminal background check results nor give advice related to the results. Being accepted to the program does not mean that you are automatically cleared to attend the clinical sites. If the clinical site denies a student clinical privileges, that student is withdrawn from the program. No. After your acceptance into the program, faculty will discuss the clinical uniforms and equipment in great detail. The items can then be purchased at a retailer given to you by your instructors. Tuition for the program is based on the number of credit hours you take within a given semester. The following link explains the tuition and other charges in detail. Please refer to the chart to determine your approximate tuition costs.